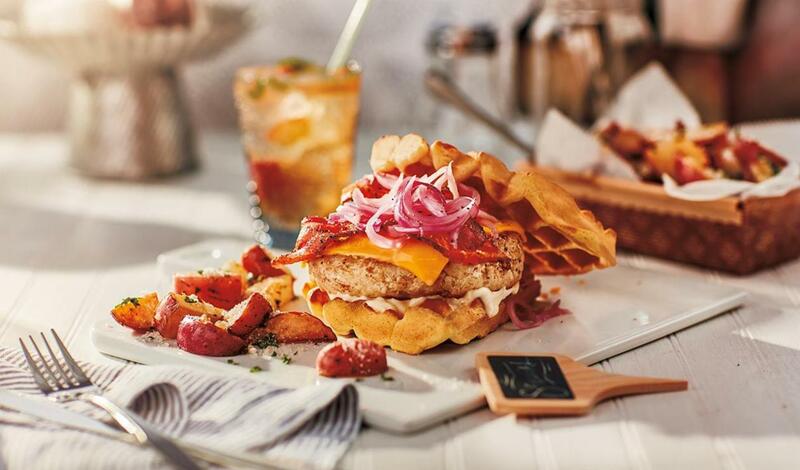 A chicken patty with pickled red onion, cheddar cheese, bacon and smoked maple mayonnaise served between toasted waffles. Combine all ingredients and mix well. Chill until use. Season and cook patty until internal temperature reaches 165° F.
Spread Smoked Maple Mayonnaise on toasted waffles.